Plan your next visit to beautiful William G. Milliken State Park & Harbor in Detroit. This time of year, it’s not uncommon to hear about an uptick in coyote sightings around the state. That’s because coyotes are more visible during their breeding season (January to March), as well as in the spring and summer months when they’re caring for pups. Coyotes are extremely adaptable and can be found just about everywhere: in forests, fields, farmlands, backyards, neighborhoods and cities. They’ve learned to survive in urban landscapes throughout Michigan. When food sources are available – things like trash bins, bird feeders and pet food – coyotes may become more comfortable around people. To minimize potential conflicts and protect your small pets, DNR furbearer specialist Adam Bump has a few suggestions. 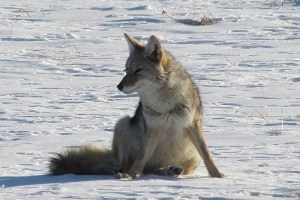 Coyote hunting is open year-round. Michigan residents need a valid base license to hunt them. See the current-year Fur Harvester Digest for coyote hunting and trapping regulations. On private property where coyotes are doing or about to do damage, a property owner or designee can take coyotes year-round; a license or written permit is not needed. A permitted nuisance control business can assist in the safe removal of problem animals in urban or residential areas. Get more tips on understanding this species in the Coexisting with Urban Coyotes video or on the DNR’s coyotes webpage. Questions? Contact Hannah Schauer, 517-388-9678. Around the DNR, Tom Cooley’s name is indelibly tied to Michigan wildlife. 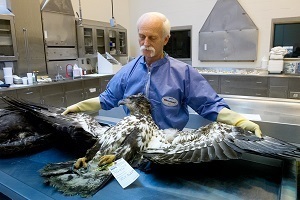 A 40-year veteran employee of the department, Cooley is a wildlife pathologist at the DNR’s Wildlife Disease Laboratory housed at the Michigan State University Veterinary Diagnostic Laboratory in Lansing. Recently, Cooley’s body of work was honored with the Michigan State University College of Agriculture and Natural Resources Outstanding Alumni Award, given to those who have distinguished themselves by obtaining the highest level of professional accomplishments and who possess the highest standards of integrity and character. DNR Wildlife Division Chief Russ Mason said the award is well-deserved. The DNR Wildlife Disease Lab is responsible for monitoring the health and well-being of Michigan’s wildlife. It is known worldwide and provides critical, detailed information on diseases in the state that affect wildlife. Cooley plays an integral role in that work. In the past decade alone, he has served as lead pathologist on more than 10,000 cases of wildlife mortalities. He also has authored or co-authored hundreds of publications and peer-reviewed papers, been interviewed as an authority about wildlife diseases, and written and taken photos for the state’s Wildlife Disease Manual. Cooley’s award was presented earlier this month during ANR Week, an annual event hosted by the College of Agriculture and Natural Resources, MSU Extension and MSU AgBioResearch. Starting later this month, pet shops, nurseries and other businesses or individuals selling live, non-native aquatic species must register annually with the DNR. The requirement comes as part of legislation finalized at the end of last year that amended Sec. 41329 of Act 451, P.A. 1994, effective starting March 21, 2019. 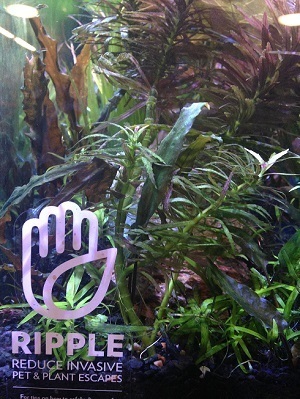 Under the new requirement, a person or entity without this registration shall not sell or offer for sale or possess for the purpose of sale or offering for sale a live, non-native aquatic species. Registration must be updated every year and expires Dec. 31 of the issuing year. It can be completed online at Michigan.gov/SellAquatics. The registering seller will receive a confirmation number that must be retained and conspicuously posted at the selling location. The DNR also has provided (at Michigan.gov/Invasives under the Laws tab) a downloadable certificate that sellers can print and add their registration number to, for easier posting. 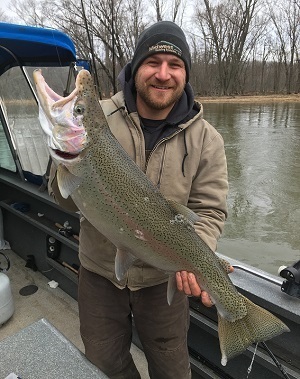 "Annual registrations will give us a clear picture of the types of live aquatic species being sold in Michigan, which can help identify potential invasive species threats that could result from releasing unwanted pets or other aquatic organisms available in trade into Michigan's waters,” said Seth Herbst, the DNR’s aquatic species and regulatory affairs manager. Questions? Contact Joanne Foreman, 517-284-5814 or Elyse Walter, 517-284-5839. Just because there's snow on the ground and a chill in the air doesn't mean you can't spot some beautiful wildlife! Eager to get outdoors? Visit our wildlife viewing page before you go. Do you know someone born after June 30, 1996, who needs a boater education card? Sign up for an online boating safety class and get ready now, before it's time to hit the water. Many boards, committees and councils advise the DNR on topics including trails, waterways, Michigan history, forests and more. Catch an upcoming meeting to learn more.